A fondness for gathering or acquiring curios or ornaments: When Pete cleared out the attic after his mother passed away, he developed a real appreciation for the abrakophilia which characterized her life because she had so many small items that were interesting and rarely available anymore. That which thrives in association with mites or which is attracted by mites: Karen's veterinarian explained that it was the acarophile of her cat by the mites which were living in her ears that made the animal's ears itch. Cooperative relationships between plants and mites. A cell or tissue which is not stainable in the usual way. Relating to not being colored by the histologic (study of the microscopic structure of animal or plant tissues) or bacteriologic stains which are pigments or dyes used in coloring microscopic objects and tissues for research. 1. A reference to organisms that thrive in a bitter or pungent environment. 2. A designation of a microorganism that grows well in a highly acrid medium. 3. A description of any microorganism that can or must live in a caustic situation (pH below 6). 4. Referring to anything that is easily stained with acid dye. 1. An element which thrives in a pungent medium or a substance that is sour. 2. That which has an affinity for acid dyes or denoting a cell or tissue element that stains with an acid dye, such as eosin which is a red fluorescent dye that is used in cosmetics or as a biological stain for studying cell structures. 3. Microorganisms or plants that flourish in acetous conditions that are very sour. 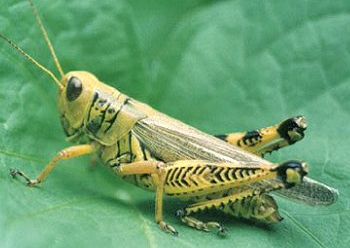 A bird or animal that has a desire for grasshoppers and/or locusts for consumption. Showing page 1 out of 79 pages of 1185 main-word entries or main-word-entry groups.